The 2018 Youth Strategy, Your Future – Your Way, will today be launched at Netfest, the state’s largest youth sector networking and professional development event. Your Future - Your Way explores the social and economic pathways that lead to young people thriving in South Australia. 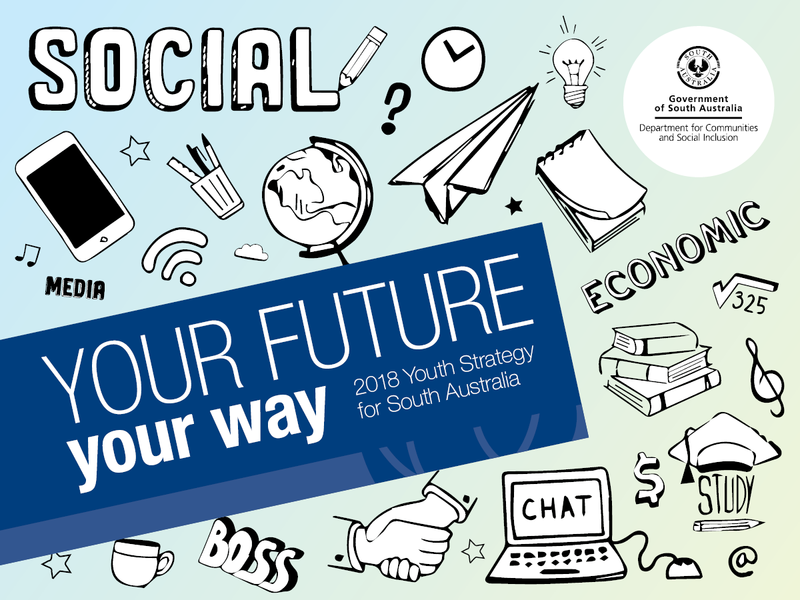 It is the fourth strategy in a series of annual youth strategies for South Australia developed over the last three years that have investigated, trialled and developed responses to key issues for young South Australians. These strategies have worked to respond to key issues including youth homelessness and transitions to further education and employment. Each strategy has built upon the last, to inform and develop ongoing work. Find out more about the 2018 Youth Strategy and the latest updates on key initiatives at Office for Youth.